What you need to know about Floating Rate Mutual Funds? Browse: Home › Personal Finance › What you need to know about Floating Rate Mutual Funds? In school, our hearts warmed with happiness when our grades turned out to be better than expected. The same surge of happiness touch us when we are awarded an out of turn promotion at work, win a sports match which we are close to losing, or are rewarded with a higher raise in salary than others. In the world of investments too this happiness can be experienced from certain kinds of investment options. Unlike the equity funds, debt funds provide conservative returns to its investors. All the same, it is the ardent wish of every investor to gain something extra from their investments. If only the fixed deposit (FD) would give us a higher return whenever the interest rates experience a high. That is not to be, because investments made in FD will only provided fixed returns as promised in the beginning. What is a Floating Rate Mutual Fund? Investors can now look upto better investment avenues than FDs, however. Floating Rate Mutual Funds are here to provide that experience and thrill of getting beyond expectation. Basically Floating Rate Mutual Funds are Debt mutual funds, which invest between 75% and 100% of the corpus in securities offering a floating rate interest payout. Bonds, bank loans and miscellaneous debt securities usually constitute this part while the rest is vested in fixed income securities. Investors can choose from two types of floating rate funds- short term and long term funds. As the name signifies, the former is skewed towards low maturity period with higher liquidity and the later is less liquid and are characterized by long-term maturity schedules. How Floating Rate Mutual Funds are different? Unlike fixed security bonds, in the case of floating rate funds, the interest rate can go either up or down depending on the market position. In case of fixed rate funds there is no chance of getting higher returns when the interest rates go up but it is assured that the interest return will not go down. As compared to this floating rate funds can be extremely benevolent if the market is experiencing a good phase, however the possibility of lower returns also exists at the same time. Certain floating rate fund schemes may experience a daily or monthly rate change, for others it may vary quarterly, annually or even after specific intervals. The interest rates are changed to be in sync with the benchmark rate which is referred to as “Reference Rate”. Debt funds face this interest rate risk. Whenever, the interest rates go up, the debt funds’ nav will go down and it results in temporary loss to the investors. This interest rate risk is not there in floating rate mutual funds because they invest in floating rate papers. Why Floating Rate Mutual Funds? Lower volatility as compared to other debt funds. Floating rate funds have been seen to deliver very good returns in a consistent manner. Credit quality of floating rate funds’ is somewhat similar to ultra short-term funds and liquid funds. Average maturity does not have much bearing on the performance of the floating rate mutual fund primarily because they invest in instruments which have a variable coupon rate. When to invest in Floating Rate Mutual Funds? One should invest in floating rate mutual funds when the interest rates are poised to rise. Floating rate mutual funds are potent tools for building up emergency funds which can be useful during crisis. If the investor’s main concern is liquidity then they can go in for floating rate mutual funds as against FDs’ with bonds. A lot of exciting floating rate investment options is being launched each day. Recurring deposits offered by banks can now have a floating rate of interest which is reviewed and revised quarterly. Performance wise long term floating rate funds are better geared than short term funds. It is always better to select a fund which has proven credentials. Preference should be given to funds which invest higher percentage of asset in companies/securities with higher credit rating. Select the fund with low expense ratio. It can thus be safely concluded that given the choice the best returns will come from long term floating rate mutual funds which performed consistently, are well invested and have a low expense ratio. 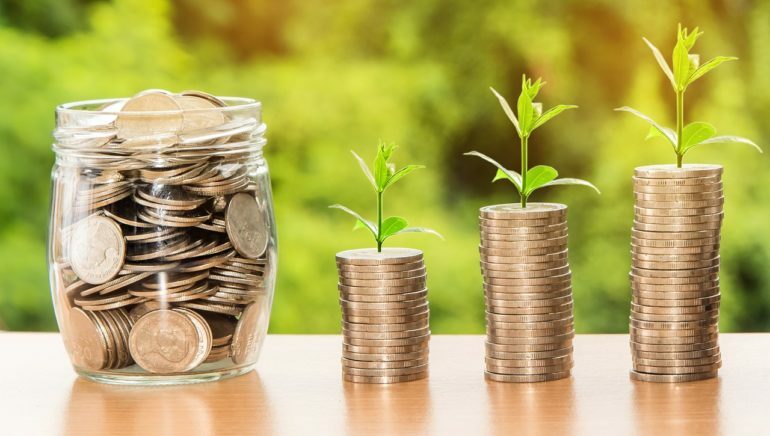 While all investors may not be aware of the potential of Long term floating rate mutual funds, it is expected that this articles will help them to experience that sheer joy of receiving beyond expectation.